Pasta is delicious, easy to make, and economical to buy. It also comes in gluten-free versions, so everyone can enjoy it. 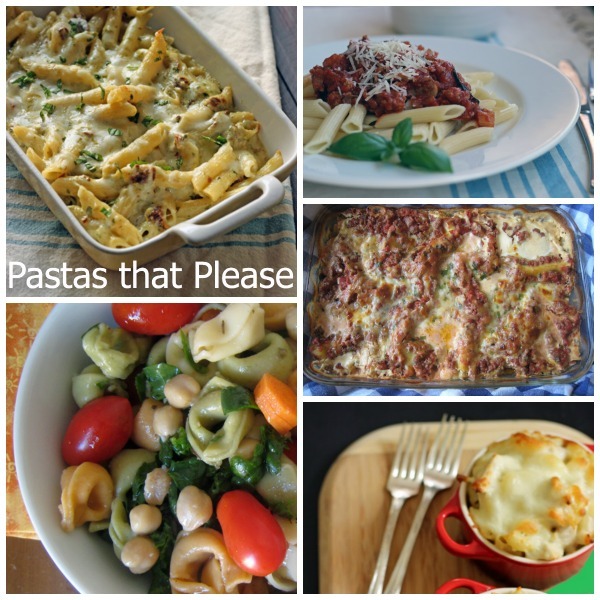 Check out these 5 easy and delicious pasta dishes. Who doesn’t smile when they hear that spaghetti and meatballs is on the menu? Pasta with its varying accompaniments is a good cheap eat. It’s quick to prepare and easy on the wallet. Noodles of some form are present in numerous cultures. Asian, German, Italian, and even Mexican foods features pasta, proving its versatility in the kitchen. At our house pasta shows up at least a couple times a week. The kids love it. It’s cheap to make. And we can vary its preparation in so many ways, that there’s no reason for it to become boring. Mac and cheese is one of life’s ultimate comfort foods. 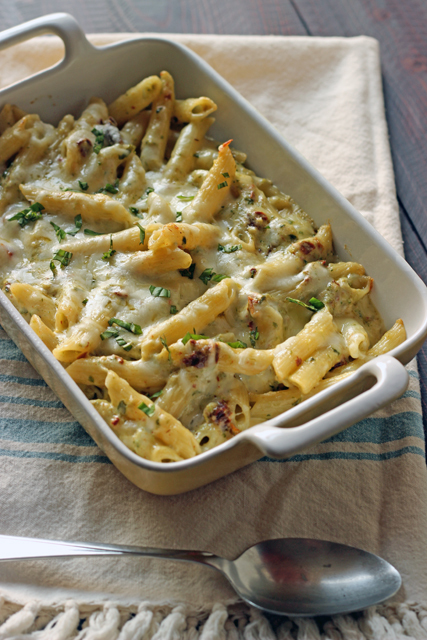 Cozy up with a plate of this rich and cheesy, Pesto Penne and Cheese to while away whatever worries you may have. 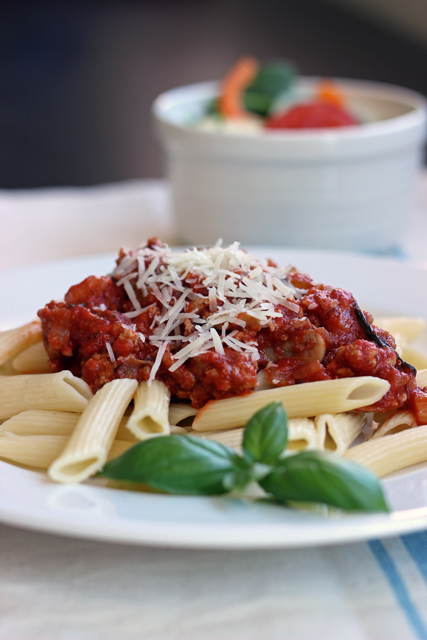 Stir up a pot of this quick meat sauce that is perfect on spaghetti or other pasta. Quick to prepare and freezer-friendly, it’s a great addition to your meal rotation. 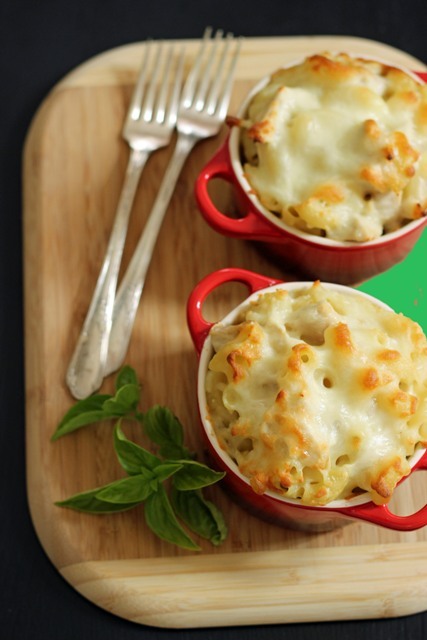 Mac and Cheese is a classic comfort food, particularly for these cold winter months. Try this version that has a garlicky, Alfredo twist. 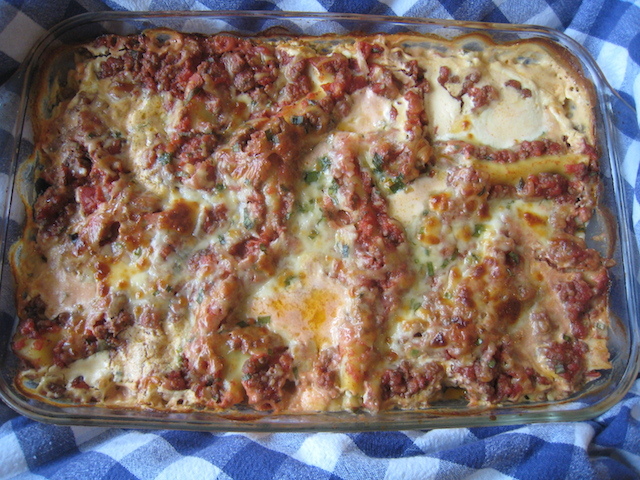 This is an easy dish to freeze in individual portions. This pasta casserole is full of flavor, hearty, and meaty. You’ll make some tummies very happy. Make two and freeze one for another time. Here’s a heartier salad that still has plenty of vegetables. 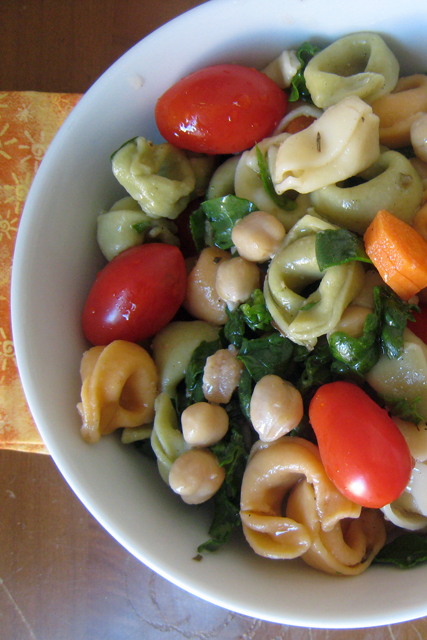 Meatless, it makes for an affordable lunch salad or dinner side. What’s YOUR favorite pasta dish to make? Jessica: I just thought I’d mention that our dog, Hanna, passed away yesterday. What an awful day, filled with tears and memories of her. My husband no sooner got to work yesterday morning, he had to turn around and come back home after I found her so ill. She was 13 years old. No matter how many people tell me what a wonderful life she had, and that’s true, she did, it doesn’t take away the pain we’re feeling right now. We just went through this last New Year’s Eve with her sister who was 12 1/2 years old. Now we still have two dogs. All of the dogs were mini dachshunds and one mini pinscher. We still have Mandy, our mini pinscher who is 10 but still very active and Theo, our one year old long haired red dachshund. Our children are grown so now these are our children and they mean so much to us. All night last night I kept waking up and thinking about her. All dog lovers know that they bring so much joy to your life for so many years but when the party’s over, it’s miserable on their “parents.” 🙁 So sorry for rambling; I’m just so upset right now and wanted to talk. We are lab people much like you are Doxie lovers. We had three labs, then lost two of them in the space of four months. One was 14, and one 13. It was heartbreaking. We had the one, and got a lab pup, too. Then we lost our eight year old to cancer last March. We went from surprise diagnosis to losing her within the space of three weeks. Now we have two labs again – one that’s a year and a half, and the other is 7 months. I was walking them the other day and got a huge pang in my heart for the ones we had lost. It’s amazing, really, how big a space they occupy in the mind, even if they don’t take up a huge amount of space in the house. Every time we lose a dog (or a cat), I ask myself WHY do I keep getting more pets? The losing is the heartbreak. But then I realize that I do it because I was meant to. Much in the way some people don’t feel the drive to have kids, or aren’t “cat people”, there are still those that are meant to be another way. We are lab people. You are dachshund people. And it’s our calling to continue to be those people…even through the pain of loss due to their shorter lives. So now you have to be sad, and mourn your sweet girl, and continue to be the awesome Doxie (and minpin!) mom that you most definitely come across as. I will be thinking of you today, and in the days to come. I’m so sorry for your loss, Stephanie. Hang in there! Sorry to hear about your dog. My sincere condolences. Thank you very much for writing to me, Betsy. It means so much to me to have heard from you. I truly appreciate it. My favorite is homemade chicken and noodles over mashed potatoes! That is followed by mac and cheese and spaghetti and alfredo. I have heard of that, but never seen it served. So interesting!